For over 65 years, the staff at Memorial Hospital and Health Care Center has worked to provide the local area with excellent health care services. Based in Jasper, Indiana and sponsored by the Sisters of the Little Company of Mary, Memorial Hospital has grown to include 31 specialties with approximately 100 Active Medical Staff in more than 30 health care centers in eight counties. Memorial Hospital employs more than 1,600 people and provides medical care for more than 6,500 inpatients and 250,000 outpatients annually. Nearly 1,000 babies are born at Memorial Hospital each year. Memorial Hospital extends it services to Daviess County in the form of two clinics: Memorial Health Washington and Country Health Center, ensuring health care that is closer to you. Memorial Health Washington is the home of a variety of services including cardiology, family medicine, pediatrics, urology, orthopaedics, obstetrics and gynecology, lab and x-ray services, and more. Country Health Center also provides a family of health care providers who value personalized hometown care, bringing you a variety of health care specialties for your needs. This clinic is the home of a variety of specialties including cardiology, family medicine, general surgery, lab work, pediatrics, podiatry, x-ray services, and more. For additional information, please contact the Public Relations/Marketing staff at 812-996-2352. To find a physician and/or determine the availability of physicians, please call 812-996-8470. 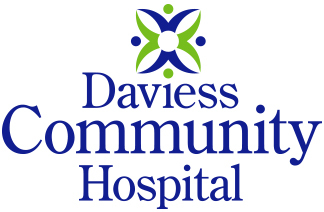 Daviess Community Hospital is a not-for-profit and county-owned 74-bed hospital in Washington, Indiana that includes acute care, OB, intensive care, inpatient rehabilitation facility and behavioral health. The facility also owns and operates medical clinics in Loogootee, Odon, and Washington, including a walk-in Quick Care Clinic. We are committed to improving the health of our community. Our staff of highly trained professionals works closely as a team to provide your healthcare services. We know that hospitalization is never an entirely pleasant experience, but we do our best to make you as comfortable as possible. Daviess Community Hospital incorporates state-of the-art procedures and equipment to care for our patients. An extensive offering of services and programs is available. We work cooperatively with physicians, other health care providers, local businesses and industries, and other community organizations to address community needs and to provide a continuum of care. The professional members of the Daviess Community Hospital team are here for you, ready to deliver the medical care and services you need, with a personal touch. Our team of nearly 600 medical professionals are right here, close to your home, ready to take care of you. Thank you for taking time to learn more about Daviess Community Hospital. If you have questions or suggestions about our programs or services, please e-mail us or call us directly at (812) 254-2760. Or, if you are a physician or provider and would like to explore opportunities with DCH, please call (812) 254-8858.